How can a nontraditional college student gain more income to provide for a brighter future? 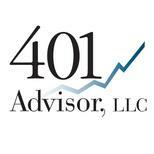 Does rolling over 401(k) funds to an IRA for charitable contributions satisfy my RMDs? How would rolling over my 401(k) to a Traditional IRA affect my contribution limit for 2017? Should I hold on to a temporarily suspended stock? What should we do with two mature IRA CDs? I received a lump sum pension when I retired. Can I roll this lump sum into a 401K or IRA? Are penny stock mutual funds a solid aggressive investment?